It’s red clover for the sacral chakra, dandelion for the solar plexis, and rose for the heart. 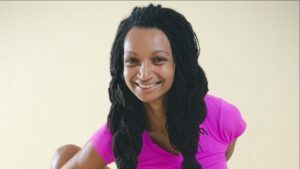 Don’t miss this balancing summer workshop with Naomi. She will pair a flower essence, as well as restorative and yin poses for each major chakra. In her gentle, healing way, Naomi invites you to open the chakras with flower essences and yoga. You will leave feeling newly alive, in tune with the solar vibrations.